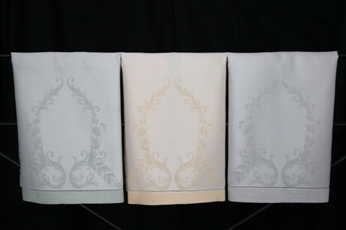 The Medaglione (med-a-lee-o-nay) guest towels are made from 50% Egyptian cotton and 50% Linen and woven in a style that is classic Italian.The medallion is perfect for a single letter monogram (a service we can provide). An ideal way to dress up a powder room with something different and unique. 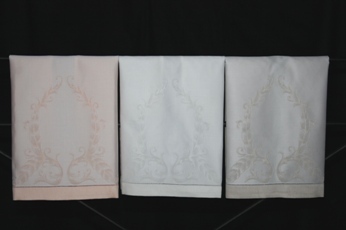 See also the Resole Guest Towels for a different design in this same quality.